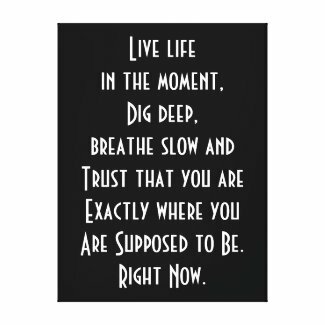 Inspirational quote canvas print which reads, " Live in the moment. Dig deep. Breathe slow and trust that you are exactly where you are supposed to be. Right now." This saying is available on a variety of designs and home decor. This is our black and white modern style.